Leather upholstery is an elegant, long-lasting complement to the fabric covered seating and wood furniture in your home. As with wood and other products used in the furniture building craft, it is necessary to have an understanding of the various characteristics of a material is before delving into the purchase process. Follow along in this brief discussion about the various leather types. Equip yourself with the knowledge necessary to enhance your room with leather upholstery that appropriately suits your lifestyle and reflects your tastes. 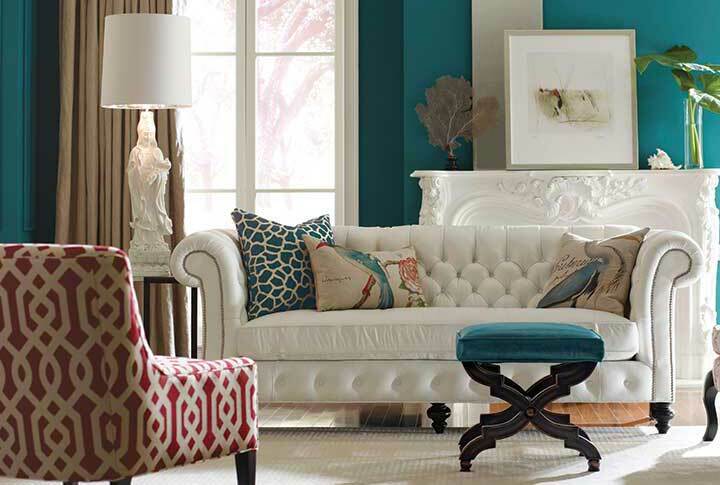 Before you start shopping for a leather sofa or chair, it is important to know exactly how it will be used. An active household with children and/or pets will harmonize with some leathers better than others. You will also need to identify environmental characteristics – such as sun exposure – that may affect your choice of leather. Much like fabrics, leathers vary in their resistance to fading. The importance of each of these things may be offset by, and even conflict with, your personal taste. For instance, you may love the feel of a Full-Aniline, Top Grain Leather hide that has been minimally processed. Having two children and a cat in a room adjacent to a kitchen, however, will most likely reduce the appeal of such a plush hide rather quickly. 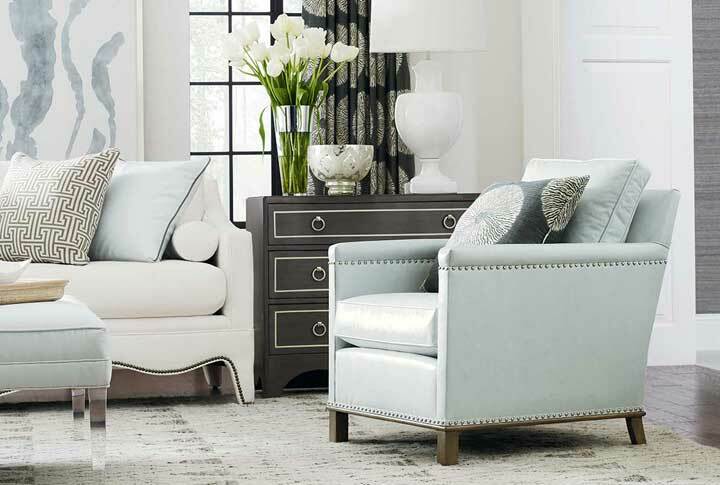 Be prepared to make the necessary trade-offs in your decision-making early on to maximize your enjoyment of your new furniture! Will food and drinks be consumed in this room? Will children often use this furniture? Do they use their toys in this room? Will pets jump up on these pieces? Will this room be used for conversation or lounging? 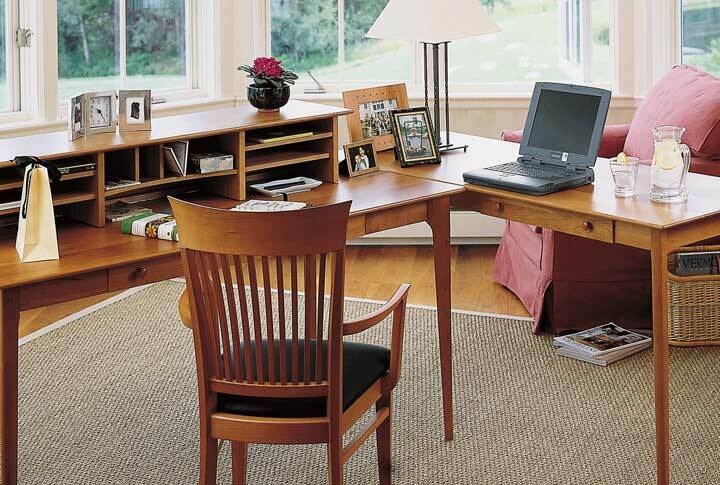 Who cleans this room – you or a cleaning company? Does the room have direct sun or partial sun? Is the room especially cold or warm seasonally? Is this an especially humid or dry environment? 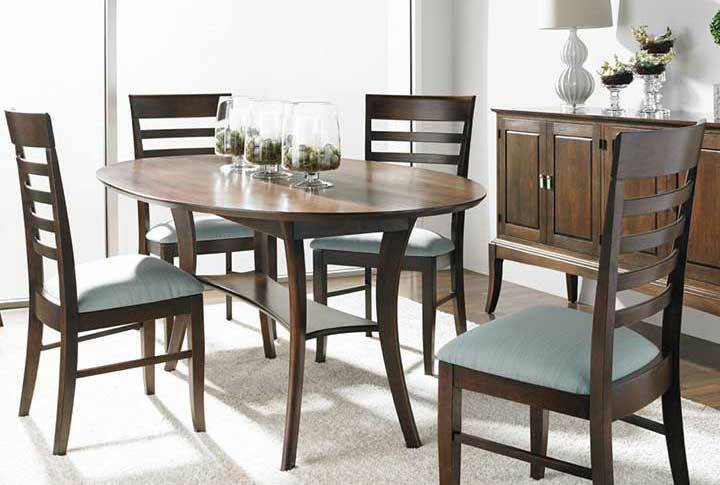 Do you like a very neat appearance in your furniture or is a relaxed look OK? Do rustic looks appeal to you or do you prefer a ‘polished’ look? 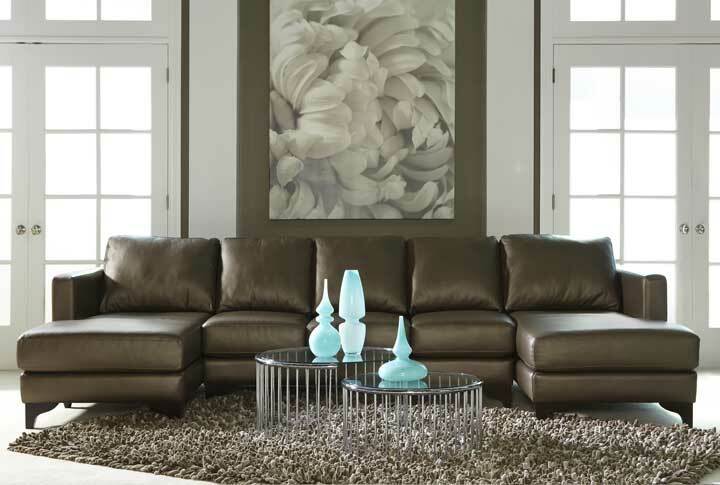 For leather colors, do you envision simple Beige to Brown tones or are you attracted by color? Do you prefer modern looks or a more traditional esthetic? Leather can have characteristics that can affect durability, cleanability, softness, fading, and temperature to the touch. And leather can be produced to have rugged or plush characteristics depending on how a tannery chooses to treat the hides. The resulting hides fall into three general categories. This leather always comes from the finest hide selections available. It is the softest, most luxurious, and natural looking leather. These hides do not require sanding, coating, or other processing steps to correct their appearance. They are near perfect from the start. Consequently, the dying process uses pigments minimally resulting in subtle shading differences from hide to hide and within a hide. Think of the leather you see in a horse’s saddle and imagine it thinner and much softer. The colors that can be used in the dying process are translucent resulting in generally more muted tones. Full aniline dyed leather, because of its inherent natural qualities, is subject to sun fading and food staining. Direct sunlight will almost certainly result in a distinct fading line while indirect sun will affect leather more slowly – like a fabric. Food and drink spills will absorb within minutes if not wiped immediately. Applying a good leather conditioning cream once or twice a year will help slow this characteristic. Do note that, unlike fabrics, leather stain and fading problems can be remedied by a trained leather repair technician and the results can be impressive. Full aniline dyed leather exhibits slightly variable textures from one corner of the hide to the other. It is generally smooth at the center of the hide progressing to a more pebbled appearance at the edges. While care is taken in the sewing room to match the grain of adjacent pieces, you can expect some variation in texture in your furniture. One can also expect small healed-over scars, wrinkles, and other non-uniform qualities to be apparent with these hides. Correcting these imperfections would require sanding and coating processes that compromises softness. Full aniline hides are dyed with very translucent colors – think of the transparency of Easter egg dyes. Color tones within these hides will vary from section to section much as solid wood tones vary on wood furniture. The transition from corner to corner is gradual and natural appearing as it would be on a solid cherry dining room table. Semi-aniline leather begins life with similar quality as Full Aniline hides. They are, however, finished using more pigments and sealed with a clear or translucent top coat. As a result, these leathers exhibit a slightly less natural appearance with a more uniform color. Staining and fade resistance is improved marginally in a Semi-Aniline hide. Leather conditioners can improve this characteristic. 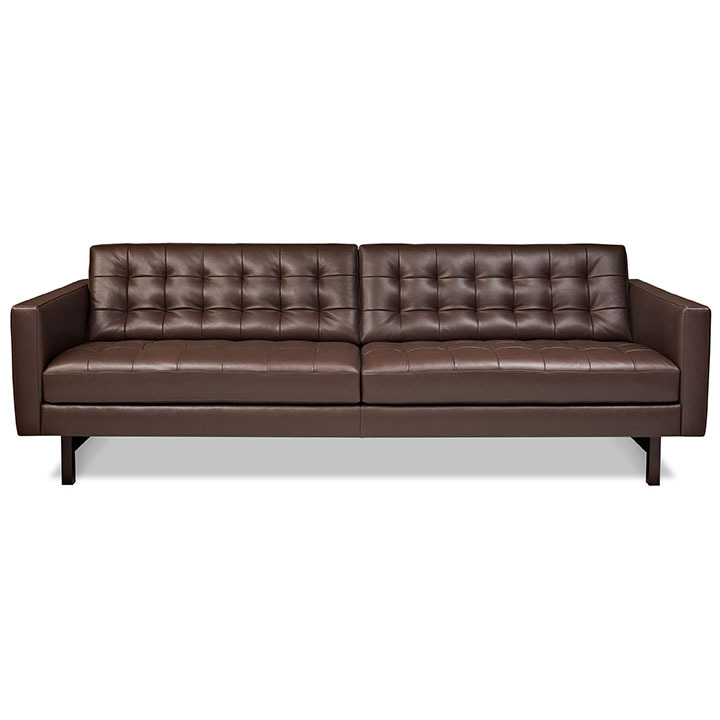 It is important to keep up the maintenance if the leather furniture will be exposed to food and drink. Because Semi-Aniline hides have additional pigment coatings and a clear sealer, you can expect a more uniform appearance. Some natural scarring and wrinkling will be apparent, however. These hides are not subject to the sanding and manipulation of a corrected protected leather. Semi-Aniline dyed leather exhibits more consistent textures from one corner of the hide to the other. Some of the natural grain is apparent but nuances are somewhat ‘filled-in’ with the additional pigment and clear coating. One can also expect small healed-over scars, wrinkles, and other non-uniform qualities to apparent – although less so. Because of the heavier pigmentation, you will find the color tones on Semi-Aniline hides to be more consistent from corner to corner. The color will also be more opaque. Think of Semi-Aniline dyes as a light red table wine – solid color but still somewhat transparent. These hides are most easily identifiable – we see them most every day in our automobile interiors. They are rugged and have various layers of coatings which give them a feel and appearance that is a bit more artificial looking. They also feel a bit hard to the touch. The more extreme examples have been sanded to remove all imperfections and are embossed to return the appearance of natural leather grain. Look closely at your car seats! Pigmented, Protected Leather exhibits even more consistent textures from one corner of the hide to the other as more coats of pigment and clear coating are used. Imperfections such as scars, wrinkles, and other non-uniform qualities are almost non-existent. Pigments used in Pigmented, Protected leathers are very opaque and result in a look that is very uniform from corner to corner. Imagine these dyes to appear like that in a can of wood stain – not thick like paint, but not at all transparent either. These dyes diminish the natural look of leather to the point that the surfaces can look a bit like vinyl – but with the benefits of carefree maintenance!